When it was announced in 2016 that Gerard Way would curate the Young Animal imprint for DC, long-time Vertigo readers were thrilled that Doom Patrol and Shade the Changing Man were getting reboots. And Silver Age spelunker Cave Carson was there too, reimagined with a cybernetic eye. Awesome, right? But who or what was Mother Panic? An original concept of Way and artist Tommy Lee Edwards, Mother Panic wasn’t originally intended to be a part of Young Animal but as the idea developed, Way concluded that Gotham’s newest masked vigilante would be a perfect piece for the shared universe that he was (and is) building for some of DC’s wackiest characters, and the first volume of the series didn’t disappoint. 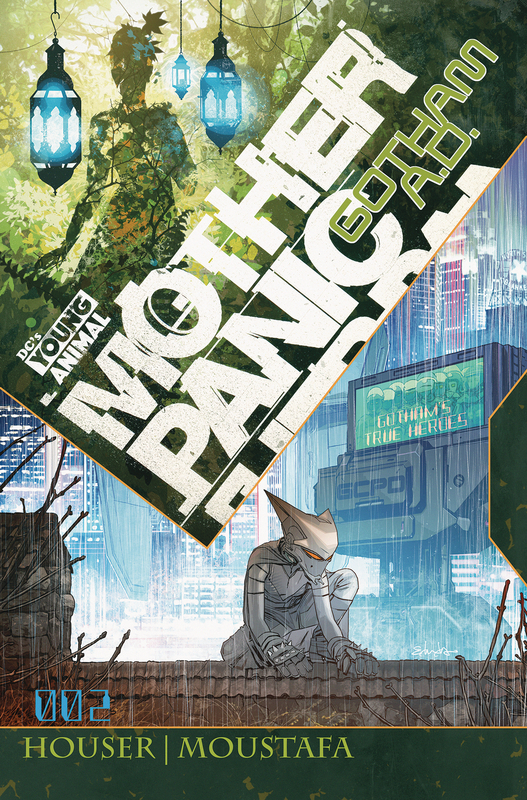 Following the events of “Milk Wars,” the first-ever Young Animal crossover event and the larger (and more conventional) DC Universe, Jody Houser, who wrote the first volume and co-created Mother Panic, is back for the second, now titled Mother Panic: Gotham A.D., which launched last month. The fan favorite writer of Faith for Valiant and Star Wars: Thrawn for Marvel is now joined by artist Ibrahim Moustafa on the series. CBR connected with the creative team and discussed what’s new and what’s different for Violet Paige now that she finds herself back home in Gotham City but in a very different time and space — both physically and emotionally. Houser also shared her thoughts on why Mother Panic works as a character within Gotham City, despite all of the other caped crusaders protecting those streets, while Mostafa spoke candidly about the strength of Violet’s costume and which Platoon star inspired his version of The Joker. Jody Houser: Violet herself is the same, and Rosie is the girl we’ve known, carrying the scars from “Milk Wars.” Other than that, everything and everyone is new. Mother Panic basically took a wrong turn heading home and ended up in the wrong reality. Do readers have to have read the first series to follow what comes next for Mother Panic? Houser: We’ve tried to make the series welcoming for new readers, or people who were introduced to the character via “Milk Wars.” But it will definitely be a more rewarding read for those who know Violet and her history. 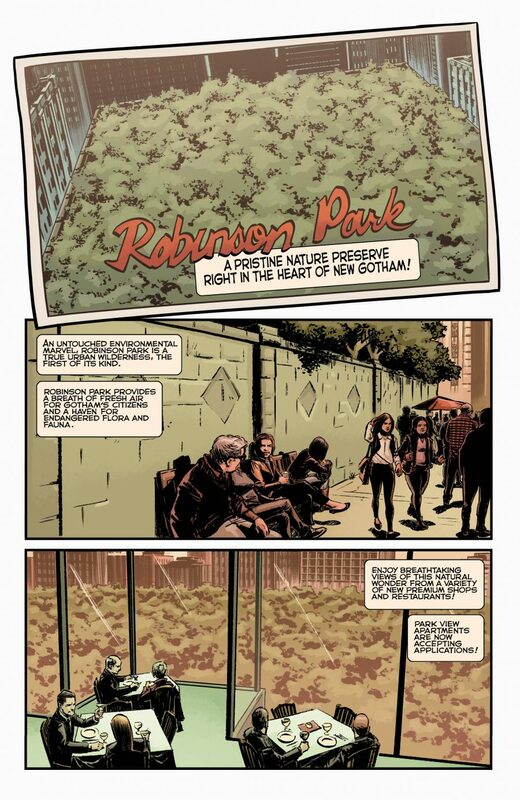 Ibrahim Moustafa: One of my favorite things about this book is that new readers are plunged into this different future Gotham along with Violet, which I think helps to make it a more immersive experience. That being said, it certainly helps to have all of the context clues from year one of Mother Panic. I’m lucky in that I was a huge fan of the book to begin with, so when I got the call to draw it I was fully initiated. Jody, you’ve worked with Violet for more than a year now. What do you love about her, or not love about her, and what do you think has made her a breakout character for DC’s Young Animal imprint? Houser: I love how she’s a new voice in a very familiar setting. She’s a complete mess, but not quite as much as she thinks she is. She’s a product of Gotham as much as any of the characters we’ve known for years, but spawned from a newer, darker side of the city. And of course, her mom. Everyone loves Rebecca, especially me. The post Mother Panic is Back in Gotham, But It’s a Different Bat-Time appeared first on CBR.